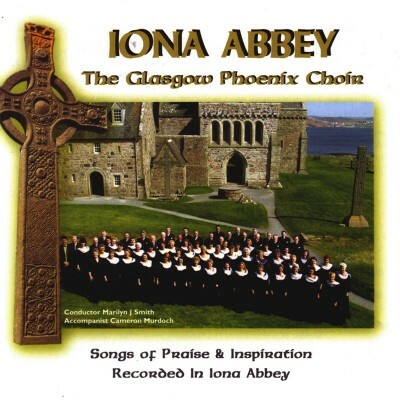 This, the Choir’s 32nd recording is completely unique being recorded ‘live’ in lona Abbey by special permission of Historic Scotland and the lona Community in May 2004. The serene and sacred atmosphere of this most holy of settings in Scotland, a place of pilgrimage visited by people from throughout the world, inspired both singers and audience alike. Now for the first time ever there is available a live recording of religious and secular music, both classical and modern, including songs especially associated with Iona and its neighbouring island of Mull. Let the music transport you back to lona – our performance started with Scottish repertoire and then developed into one of those profound occasions when the sun shone, the birds sang and the sound of heavenly voices filled this remote and magnificent setting. Surely this recording is a must have souvenir of Iona & Mull. is a charity registered in Scotland: No.SC002904. I'm fine with this, thanks.